Discussion in 'News & Announcements' started by J-F Chardon, Oct 24, 2018. 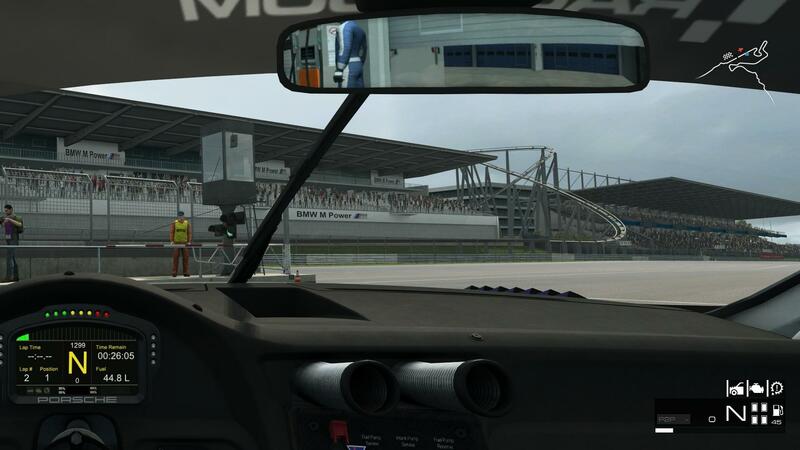 Today's update is focused on bringing the fixes and improvements that we can provide without impacting the performance of our cars, as various esport competitions are still active. We're introducing a revised slowdown penalty after many voiced frustration over not being allowed to choose where to serve the penalty, but also to prevent unrealistic situations where players could just go through a ghosted opponent, risking a collision if the penalized car was to suddenly become solid. A modification to Adaptive AI logic was also discussed within this forum and you will find that we now ignore laptimes that are clearly slower than the player's known pace, allowing for less volatility of the calculated AI Strength. We're also bringing improvements for situations found in your streams of multiplayer races, sudden framedrops at race starts should no longer be a thing, and if you're hosting a multiplayer session, racing and streaming in HD all from the same computer, you should now see less problems related to saturated communications. And for VR players, we've reviewed the HUD elements to allow for better readability overall. Player can now serve a slowdown penalty anywhere and will not be forcefully slowed down. The time illegally gained has to be given back within 60 seconds. Failing to comply will result in a drive-through penalty. Cars serving a slowdown penalty are no longer ghosted. Slowdown penalties are now displayed as part of the flag HUD element. Sorted the controller assignments by categories in Controls settings menu. Removed "Clutch Biting Point" from Advanced Controller settings, as it is no longer used. Adaptive AI logic now ignores laps that are clearly slower than player's known pace. Any lap slower by at least 3% compared to player's average laptime in a given race session is now ignored. Improved network communications in cases of extreme saturation. Should solve some timing issues spotted by players who are hosting a multiplayer race, racing themselves and also streaming in HD on the same computer. Some performance improvements for situations where many cars are leaving skidmarks on the track. Added key bindings allowing to move the cockpit camera perspective horizontally. This allows for setups with very large screens where the player isn't sitting exactly in the center of the display. This setting is remembered per car. VR - Mirror to screen option is now remembered between two game startups. Fixed HUD messages not dealing with UTF-8 (accentuated characters will no longer be missing). Chat font color is now a tiny bit darker yellow for better readability. Fixed a HUD overlay showing up when switching between cars in a replay. Fixed an exploit where players would leave the pitlane in the opposite direction and be allowed to cut corners after completing 2 laps. Fixed the centering of the mouse cursor when driving with the mouse as a controller. Fixed success ballasts not being properly transferred or applied between two championship races. Fixed a live timing issue during a race start on the VLN and 24H layouts. Fixed a failure to start the executable if installed inside a folder structure that has a \Game\ folder inside it. Audi RS 3 LMS - Updated the steering wheel to the 2018 version. Mmmh works here, can you try clearing browser cache maybe? Once it's backed up, delete it and try again. If that didn't solve it either, then we'll have to look at it deeper. In the \logs\ folder ( ..\AppData\Local\Sector3_Studios_AB\logs\ ) you'll find "output.log"
Is it only me with having no position bar in VR anymore? The dedicated server started up but i haven't the servers wich i had before. Not a big deal, i make them again. Do we need to "create" a new AIadaption.xml to use this how it should? OH MY GOD THANK YOU !!!! 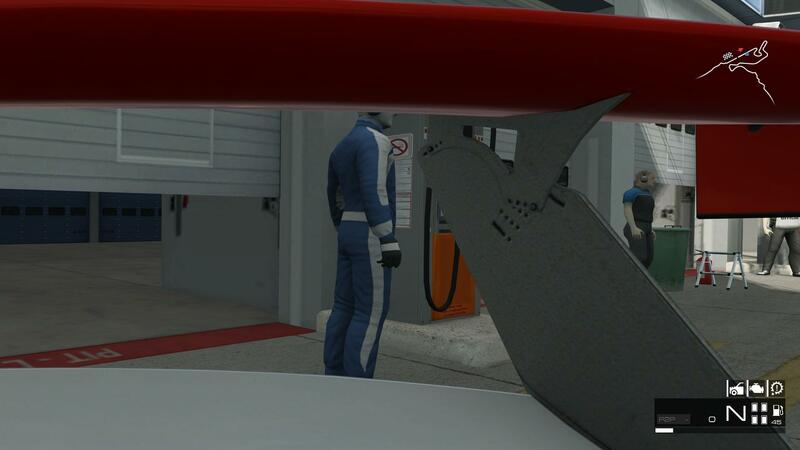 This made the online racing borderline unplayable specially for a scrub like me. Still waiting for the "big stuff" but this one was really critical. Is this supposed to be a rotating of the camera on the pivot point, instead of actually moving it left/right? TIs the AMG-Mercedes C-Klasse DTM 1995 out of de dedicated server? We have a championship with this, so can it come back please? Oh this also happened last time. I think the car is stil in the game but only not in the dedicated server. If possible it will be great if the car is back befor friday 2 november.